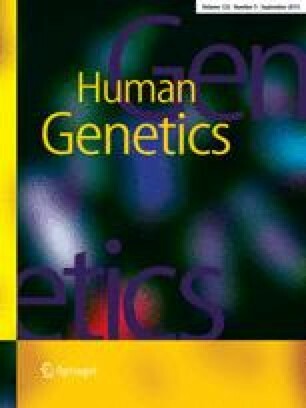 Seventy-three Italian patients affected by steroid 21-hydroxylase deficiency were studied by a PCR –allele-specific oligonucleotide protocol in order to evaluate the presence of eight known point mutations. The majority of chromosomes were found to carry point gene conversions normally present in the pseudogene. Within the classic form, the most common mutations were the splicing mutation A/C-655 to G in intron 2 (34.2%), the nonsense mutation C-1993 to T in exon 8 (10.8%), and the missense mutation T-999 to A in exon 4 (10%). Within the non-classic form, the missense mutation G-1683 to T was the most common (57.7%). Other mutations were either absent, such as the three clustered missense mutations T-1380, T-1383, T-1389 to A in exon 6, or very rare, like the 1761 + T in exon 7 and the C-2108 to T in exon 8. Family genotyping revealed the presence of ten asymptomatic parents carrying mutations in both chromosomes, thus identifying the gene defect in cryptic subjects. Interestingly, the same mutations were found in both symptomatic and asymptomatic forms.